FUPRE Admission List 2018/2019 is Out Online – fupre.edu.ng. 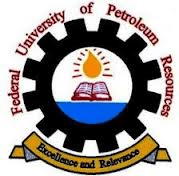 The Federal University of Petroleum Resources, Effurun (FUPRE) has released the names of candidates offered provisional admission into the university’s various undergraduate programmes for the 2018/2019 academic session via the merit admission list. FUPRE merit admission list has been successfully uploaded online. Supply your JAMB Registration Number and Password in the required columns – Finally, click on ‘Login’ to access your admission status. All admitted candidates are also advised to login JAMB website to Accept or Decline Admission offered – How to Reject/Accept Your Admission on JAMB CAPS. NOTE: Payment of Acceptance Fee begins immediately. See Also: FUPRE Admission Acceptance Fee Amount & Payment Details. Do not give money to anybody for admission!